Tables come in a never ending range of style, designs and shapes as they are the most functional and a compulsion for furnishing of a house. Still the many of us look for extra ordinary pieces which would be only their personalized and marked item. 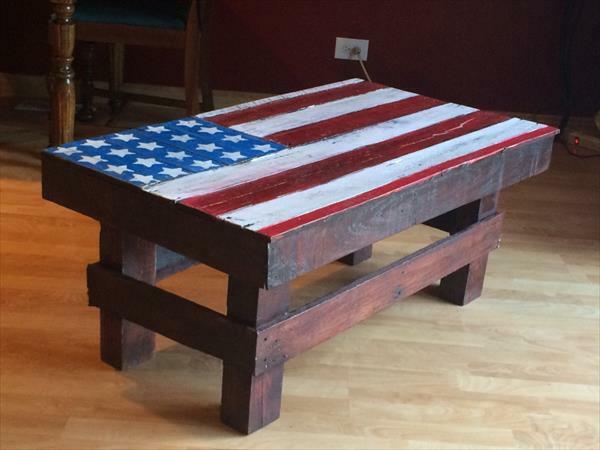 If you are also looking for something intensely unique in tables, than check out this DIY pallet table with an American flag our innovative and handmade product for a dedication to our country. 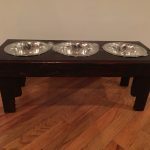 The table would let you stand out with its creative possession in your home. 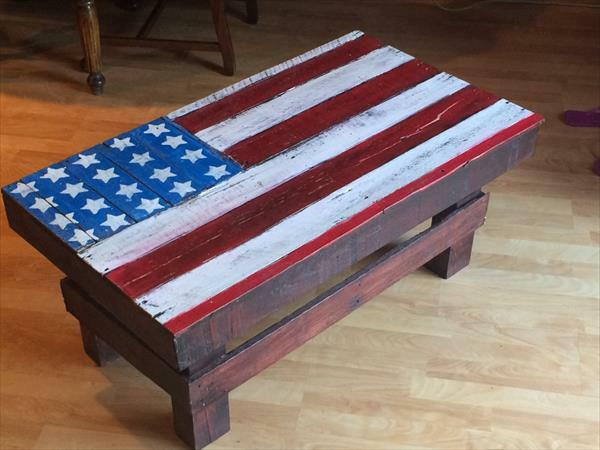 You can express patriotic feelings and passions stylishly with this trendy and fun to make table. It can serve you as a coffee table in the living area or garden, getting friendly with your sitting items. Or you can utilize it as hall or entryway table to flaunt your indoor decor with country love. 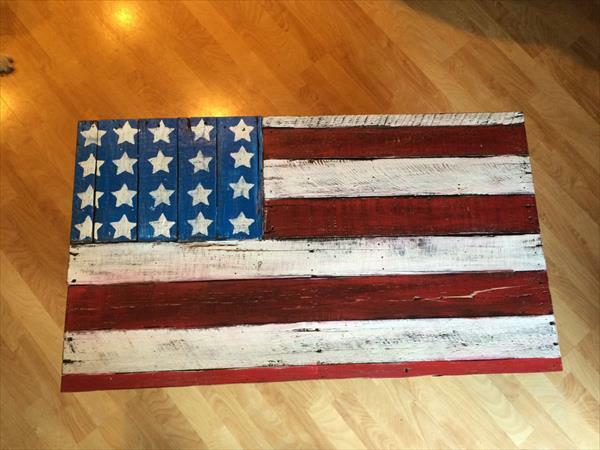 Pallet wood again has been customized to do this project, using salvaged pieces for an aged and withered demonstration of natural wood mark and tint. The paint with which the national flag has been painted is also made withered for an old and historical Americana look.